The first chapter of my Xenoblade novelisation. Long ago, the world was nothing more than an endless sea, cloaked in a boundless sky, reaching as far as could possibly be imagined. A mighty crash rent the air at the sound of two gargantuan swords bouncing off one another. The weapons came together again, and again, neither one gaining ground over the other. The Bionis, and the Mechonis. Taking advantage of a missed blow, the white Bionis’ blade cleanly sliced off the left arm of its opponent, the black Mechonis. 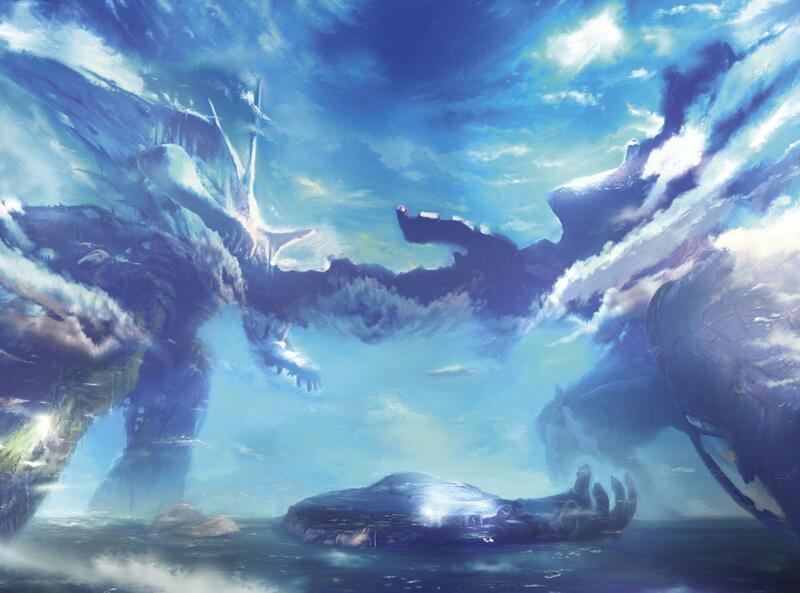 The Mechonis’ arm fell into the ocean with a tremendous upheaval of water, and they continued their fight. The titans were locked in a timeless battle. 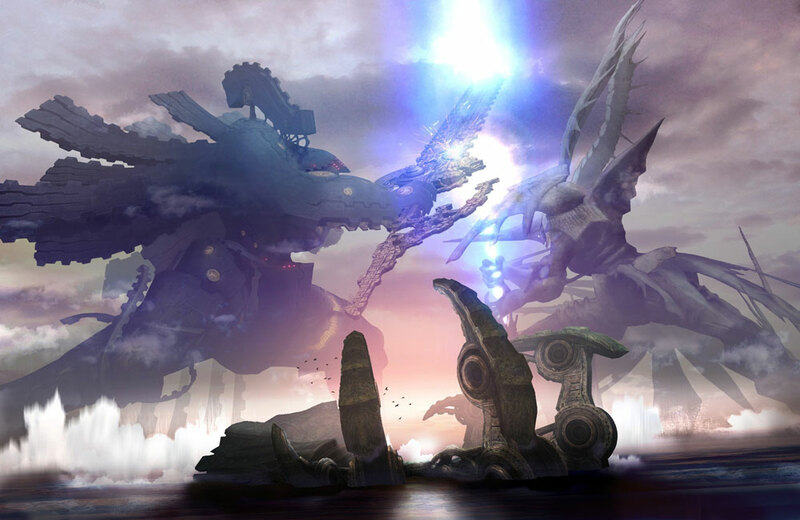 The Mechonis drove its sword into the waist of the Bionis while the latter’s sword simultaneously connected with its opponent’s neck. Until at last… Only their lifeless corpses remained. 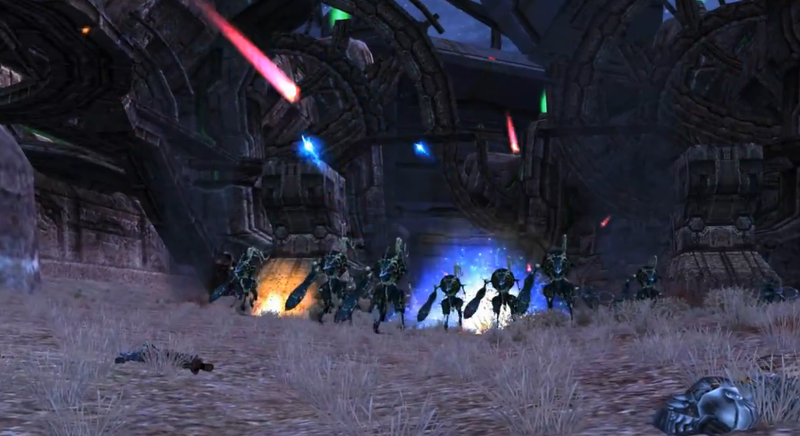 Now, our world, this vast land stretching across the remains of the Bionis, is under attack from a relentless force known as the Mechon. The sound of ether bullets accompanied the yelling of Homs soldiers as they dived on fallen Mechon, making sure they would not rise again. With a mighty heave, a group of warriors shifted one such hunk of metal, while another group raised their shields in momentary triumph only to be shot down by their foes. More Mechon emerged from their fortress, which did not go unnoticed. With high brown walls on either side of them, the soldiers had but one option. “Retreat!” cried a man on the front line. “Retreat! !” Screams resounded across the battlefield as the trained soldiers scrambled away from the advancing machines. “Get away from me!” screamed one panicked man, realising he would not escape. The Mechon surrounded him. “Number of M78 Mechon’s unknown!” a soldier reported to his intercom, noticing too late the Mechon’s claws around him, snatching him from his duties and throwing him back into the mechanical mass. 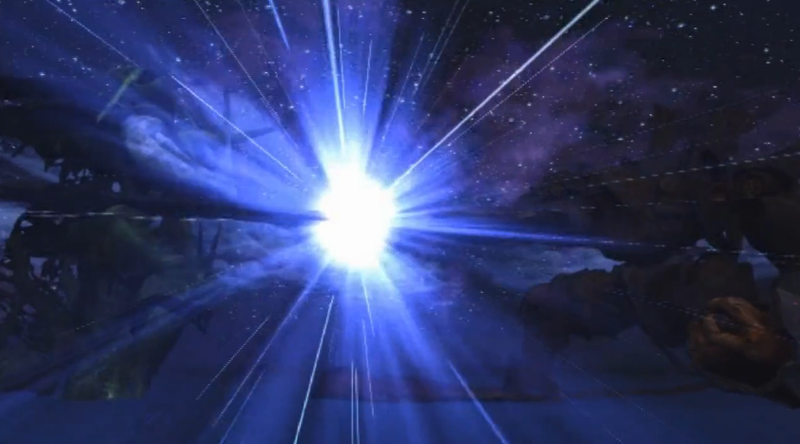 Underneath the starry night sky, one man ran against the tide of fleeing Homs. Clutching a red sword with a blade of blue light, he dashed through the crowd of Mechon, felling each one as if they were nothing more than Wood Bunnits. Dunban paused. “They’re advancing down our weak right flank.” He stuck his weapon into the Mechon remains beside him. “For a bunch of soulless machines, they seem to know a thing or two. But we’ll see.” He eyed the approaching horde, flicking his dark brown hair out of his eyes. He removed the sword and activated it, casting Enchant for good measure. A light breeze blew across the barren land, rustling the dry patches of grass and setting Dunban’s senses tingling. “Dunban!” A stocky man with eyes of a walnut brown and carrying a gunblade found his comrade leaned up against an old machine, listening to the chaos surrounding him. He was quickly followed by another rather wide-eyed man, tall and slim, with eyes and hair of such a dark shade of brown, they almost appeared black. Covering both of his arms from elbow to hand was a solid metal gauntlet, each with four bone claws protruding from the end. A defence force soldier scuttled under cover after them. “We’ve been given the order to retreat. We’re pulling back the line to Colony 6.” Dickson braced himself as there was an explosion nearby, his blonde hair waving about his face in spite of the bright red bandana wrapped about his head. “That’s where we’ll set up the last line of defence!” He gripped his gunblade tightly. “Yeah,” Dunban nodded, “That’s a good idea. Any more time spent hanging around here, and we’re done for.” This didn’t seem right to Dickson; Dunban was never persuaded this easily. “What? !” The three of them flinched as the Mechon fired on them again. “We may die if we take a stand here. But staying gives us the chance to change our destinies. We have the Monado.” Dunban lifted the sword, gazing at it with admiration. “With this,” Dunban continued, “the future is ours for the taking!” Without warning he leapt up on to the metal behind him. “Getting short sighted in your old age, Dickson?” said Dunban wryly. “I’m fine. Don’t worry, I’m still in control.” He raised the sword as he spoke, and they both stared at it. “Well, I say you’re coming with us!” Dunban answered smugly, shoving his face right up to Mumkhar’s. “What would we do without those?” He indicated the silver claws that were his friend’s weapon of choice. Mumkhar growled, wanting to protest. “The enemy’s second wave is approaching!” shouted the defence force soldier. The three warriors started; they had quite forgotten he was there. Dunban stood and joined his friend, excitement creeping through him. “Acknowledged!” Dickson leaped over their shelter, Dunban following suit. Mumkhar was furious. “What’re they trying to prove?! I’m not throwing my life away! No point dying in some godforsaken field.” A vicious grin slowly unfurled on his face as a plot hatched in his mind. “Nothing for it. I’ll have to use Dunban as a decoy. That should give me time to escape.” And when Dunban dies, he thought, I can finally have the Monado! He laughed to himself. Dunban cast Enchant when Mumkhar finally caught up to them. There was no time for talk, however, as the Mechon were upon them. He dashed up to the first machine and cut it down effortlessly, knowing that his comrades would take care of themselves. The three men quickly routed the Mechon. They regrouped to share a brief respite and admire their handiwork when another wave of foes emerged and slowly began to walk towards them. There were Mechon M69, bipedal machines with a single, huge claw on their right side. They were as large as a very tall man – such as Dunban – and had a hunched-over appearance. They, like all the Mechon in this battle, were covered in dark blue paint with golden lines. The Mechon M63 and M72 were over twice as tall as Dunban. They both had incredibly sharp points where noses could have been, and were identical save for the weapon on their right limb. The M63’s appendage ended with a claw that was also used as a drill, while the M72’s was much bulkier and opened up into a large three-bladed propeller, from which they fired small bullets of concentrated ether energy. More humanoid than the others – though four times as large – Mechon M82 stood on two legs and had two arm-like limbs which they could use as either a claw or a circular saw. “You heard him,” grinned Dickson. Mumkhar couldn’t believe what he was hearing; they were mad! 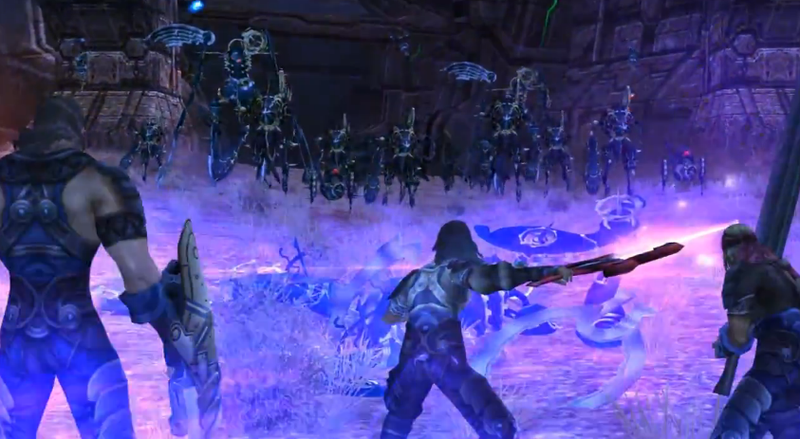 “Dickson, Mumkhar.” The Monado shone in Dunban’s hands. 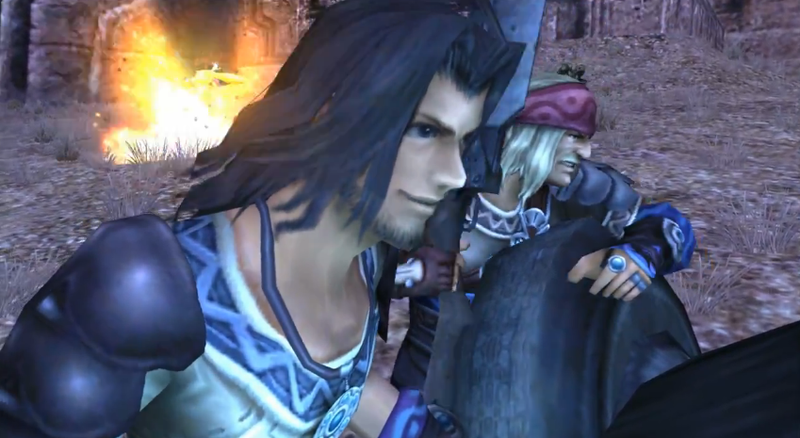 “Let’s do this!” He cast Enchant again, leading the three-man assault against their foes. Dickson dodged his opponent’s blows, leaping up and smashing it on the head with his rifle. Mumkhar blocked a Mechon strike and thrust it back, slashing it to pieces before it could retaliate. But Dunban dashed right into the midst of all the machines, indiscriminately slicing straight through the armour of any foes that came near him. 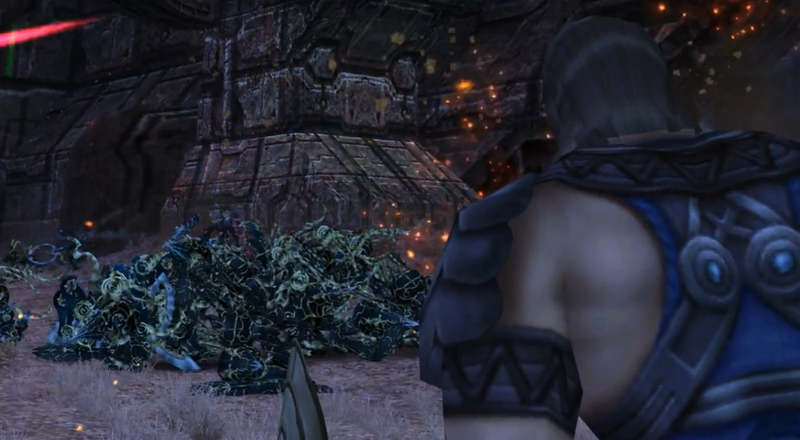 Pulling his blade out of a Mechon, Dickson turned to see Dunban standing atop a pile of lifeless enemies. 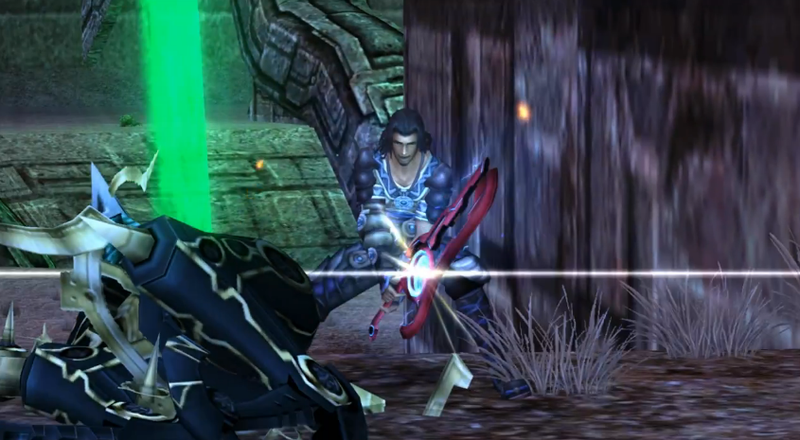 He was crying out in pain; the power of the Monado appeared to be too much for him. It looked as if he were being electrocuted. Dread crept into Dickson as he spotted an M72 approaching his companion. Watching from afar, Mumkhar laughed. “Guess even a hero’s gotta reach his limit eventually.” He turned and started to leave. “Mumkhar, you dirty…” Dickson glared at him, unable to do much else. “Wait!” Dickson called. Hearing an odd noise, both he and Dunban turned and immediately leapt to the side. The machines Dunban had slain exploded as they were hit by a powerful ether blast. Dunban and Dickson were thrown across the ground and Mechon parts were strewn everywhere. “If this is a joke,” Dickson growled, “it ain’t funny.” He watched as the hulking mass of an M104 Fortress Unit steadily approached them. Two of four huge limbs taller than an M82 held up the core of the Mechon. The front two limbs supported what resembled a hexagon-shaped chest, on top of which sat a disc-shaped head that two antennae sprouted from. Dunban was slowly getting to his feet, his expression one of conviction. “Dickson, take care of the survivors,” he ordered. 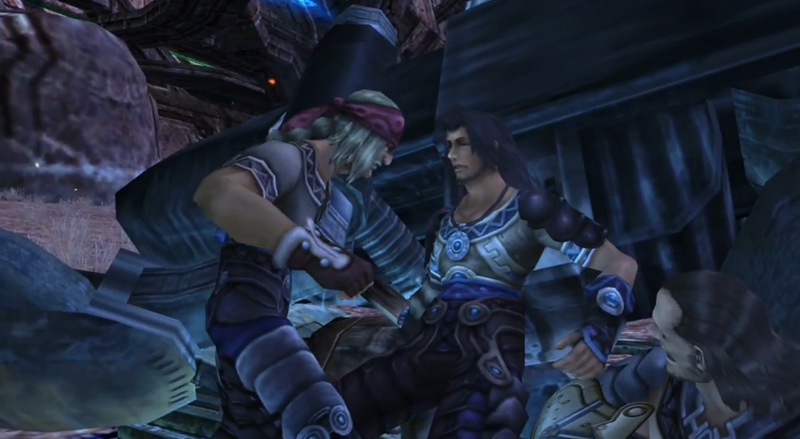 The Monado burst into life in Dunban’s hands. “Dunban, what are you playing at? !” Dickson demanded. This was too reckless, even by Dunban’s standards. Meanwhile, Mumkhar was still running for freedom. “Those idiots,” he huffed. 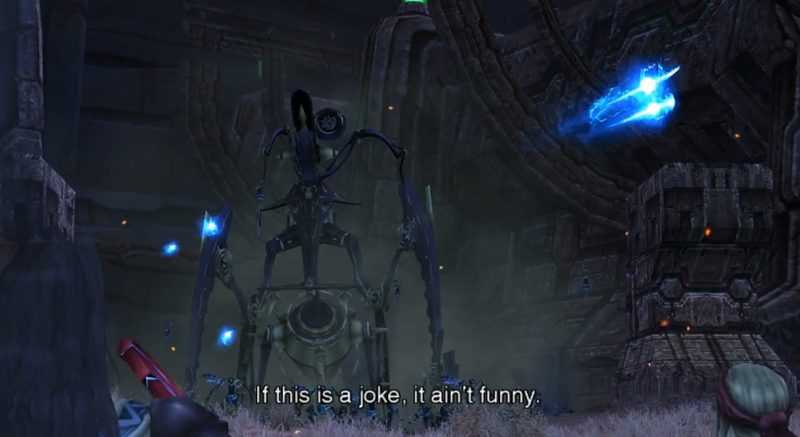 “I’ll just come and get the Monado when everything’s quietened down a bit. That thing’s gonna be mine!” Mumkhar cried out as he stumbled down a sharp slope, coming to a jarring stop at the base of it. Mumkhar froze, realising there was a red laser targeting his forehead. 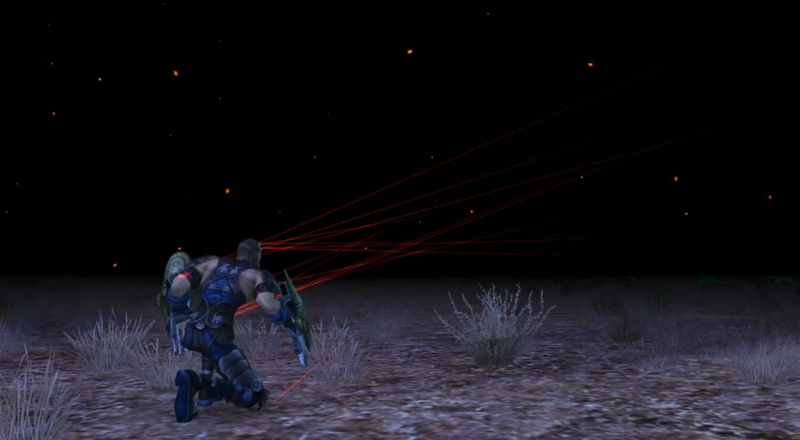 Fear gripped him when many more red lasers shot out from the darkness, marking various points on his body. “Oh no! Please!” He screamed as he was taken. Dunban’s eyes opened. He felt detached from his own body, as if something else were directing his actions and his speech. As if he were a vessel, for something… something more, something powerful. “Vile Mechon! If you think the Homs, the people of Bionis, are just waiting here for you to pick us off…” a feverish madness consumed him, “You are sorely mistaken!” With a long, loud roar, Dunban charged head-on into the horde of Mechon, resigned to the fact that he was about to leave this world. But also to the fact that he would take with him as many Mechon as he could. Thanks! Have you caught up on all 29 chapters I’ve posted so far?